At York Safety Solutions, we know that each industry owes it to their employees and those around them to execute each and every safety measure they possibly can. The prevention of accidents and the safe-guarding of all of your employees are our number one priorities. Through comprehensive and professional inspections, training, consulting and advising through an OSHA citation specialist, York Safety Solutions can help your general industry and construction site be as compliant and safe as possible. We are able to be on site or at your facility as much or as little as needed to counsel and guide industry leaders as to how best ensure the health and safety of everyone in a particular field. York Safety Solutions focuses on conducting safety inspections and helping employers implement standards of practice to avoid costly OSHA fines or accidents. We also conduct on site and online training to help ensure everyone on the job knows the latest regulations and standards of practice for operating equipment, working around certain specific substances, and how to practice job specific safety standards in all types of environments and situations. 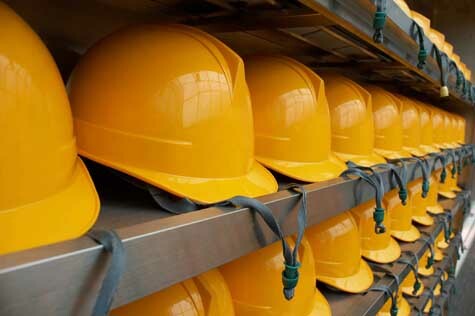 Our skilled team of health and safety specialists also actively consults with management pertaining to general industry facilities and construction sites to ensure all employable safety measures and OSHA guidelines are being met. We help industry leaders devise and implement improvements that can directly save time, money and, most importantly, lives. Our staff has worked in every level of general industry and construction and holds all certifications and degrees necessary to ensure every client is compliant and exceeding safety standards across the board. We combine our knowledge of how job sites actually operate with the latest science and information that can help every industry improve.